For the last decade, fears that rising seas would swamp the islands and micro-nations of the South Pacific have spurred an impassioned campaign by many of these countries to take their environment into their own hands – and set a shining example for the Western powers. While it now seems that the future of these countries may be brighter than predicted by earlier climate change models, the drive towards sustainability has been an all-over positive step in bringing new innovation to one of the world’s most remote places. In the case of Tokelau, it’s difficult to find a place more off-the-map: few people in Europe and North America would even be aware that it exists. A collection of three atolls north of Samoa, just 1,400 people live in this distant New Zealand territory, and has the smallest economy of any country in the world. Exports are few; stamps as novelties for collectors, carved handicrafts, and copra make up the bulk of its trade, and agriculture is the mainstay of the local economy on the islands. 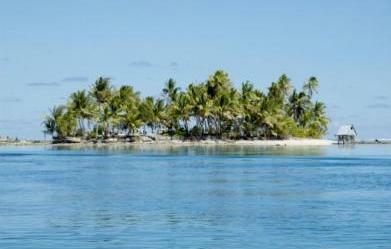 Selling registrations to its internet domain name, .tk, has added 10% to Tokelau’s GDP. Tourism to this little piece of paradise has picked up in recent years, however, especially among diving enthusiasts who come to discover the unparalleled beauty in the pristine waters offshore. The ocean around the country is filled with tropical wonders to explore, and for the brave, many areas are rife with different varieties of sharks. Shark diving has gained popularity in recent years, and there is a very good reason why the country has such an abundance of these amazing creatures. In 2011, Tokelau made international headlines when it declared a vast 319,031 km – its entire maritime economic zone – a shark sanctuary, stopping its trade of shark fins to China for consumption in shark-fin soup. 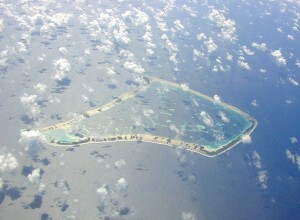 Now, Tokelau has another claim to fame – it can take its place as the first entirely solar-powered nation on earth. With a mixture of solar panels and coconut oil, Tokelau has taken the jump from a fossil fuel-based energy system to one composed of entirely ecofriendly and renewable sources.